Who are you branding for? How do you want to promote your company? These are questions Cimpress regularly asks its clients. We turned the questions back to them not long after this global printing company acquired Vistaprint. 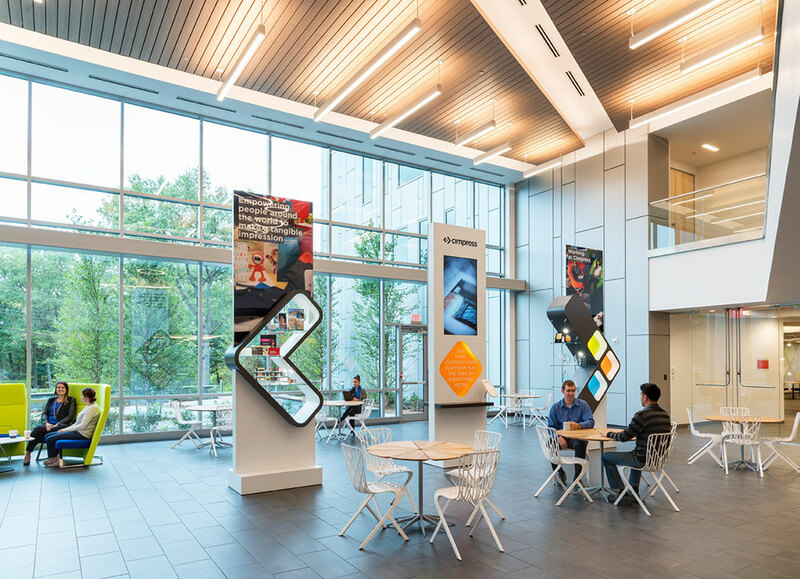 Their answers, while complex, helped inform the environmental branding we developed for their new five-story facility in Waltham, Massachusetts. Waltham is home to the Cimpress global IT team, so we established a playful, colorful layout, incorporating the company’s orange geometric logo. 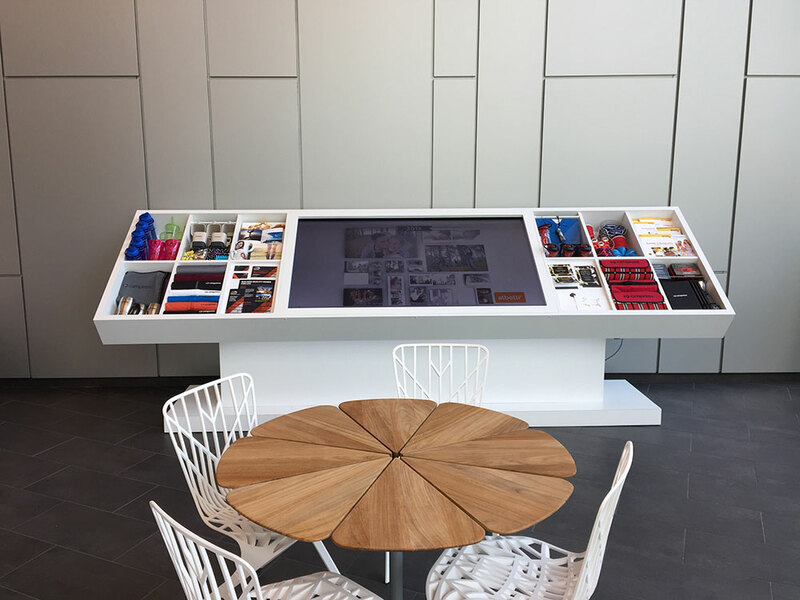 Large lobby totems, eye-catching graphics and an interactive screen with product displays greet visitors to the reception area. Elevator lobbies feature large wallpaper mural graphics. 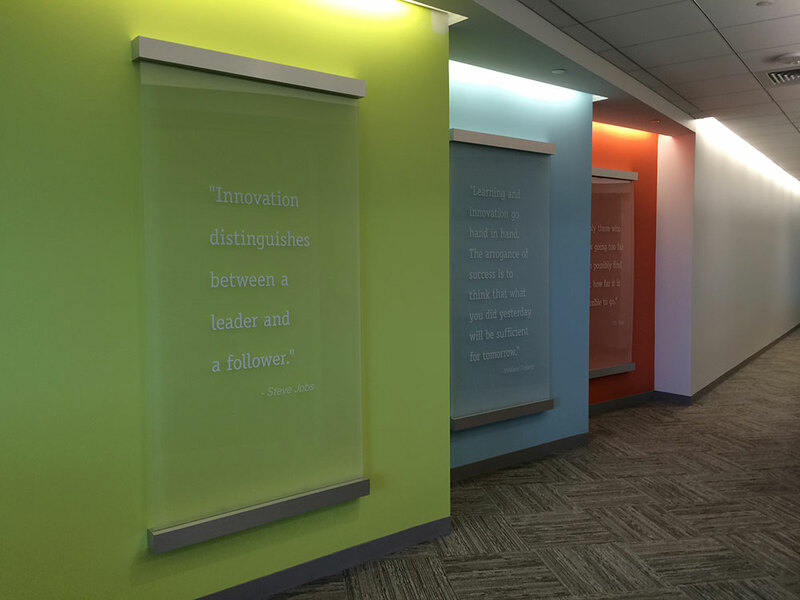 The walls are our canvas as graphics identify activity-based work areas. 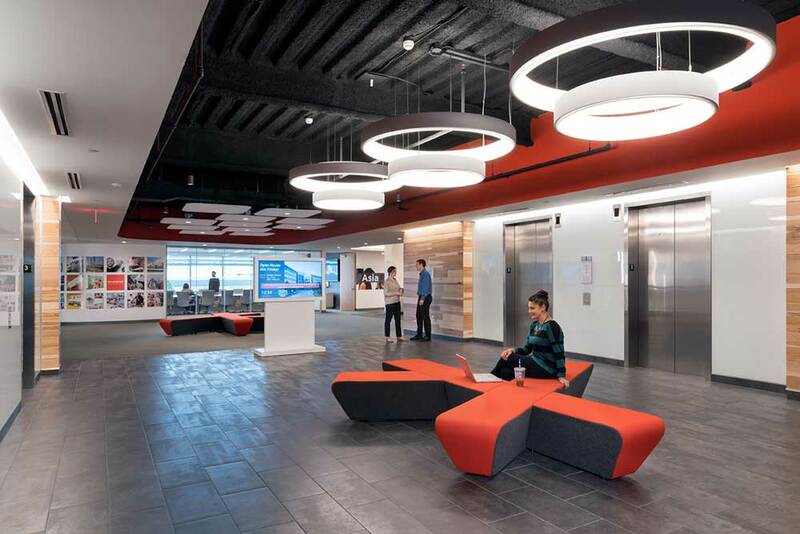 Consolidating operations into a new 110,000-square-foot HQ building (aka the Beehive) plus three existing facilities in Marlborough, Massachusetts, Boston Scientific set out to redefine its workspace for its 1,800 employees. The BAM Group partnered with the architect to ensure every aspect of the work environment reinforced the company spirit. 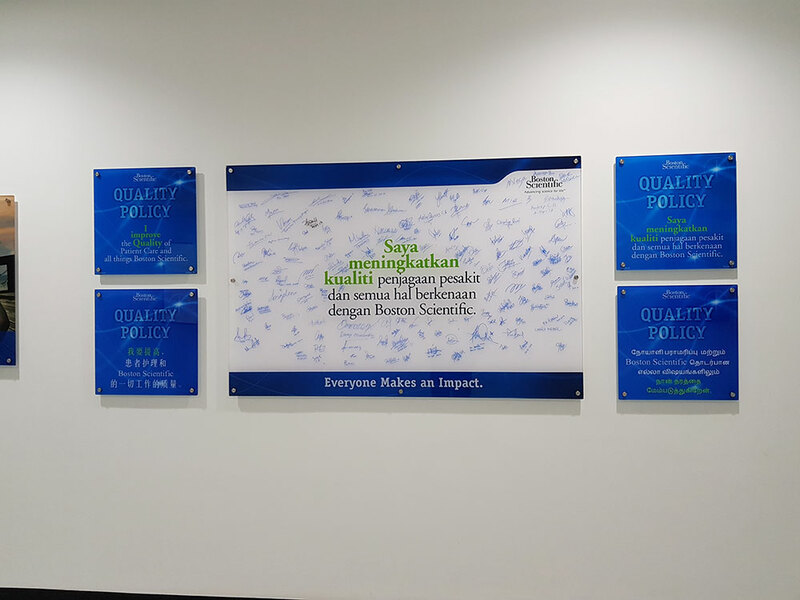 Involved from the earliest plans, we incorporated the tagline, “Advancing science for lifeTM” into the building structure. 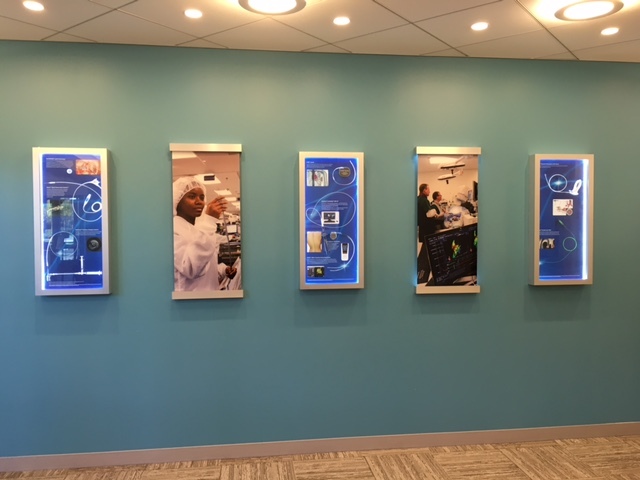 One theme for each floor – Advancing (C-suite offices), Science (innovation), Life (patient focus) – with carefully curated wall graphics. Activity-based workspaces accompanied strategically located huddle, team and teleconference rooms with thematically patterned privacy glass. 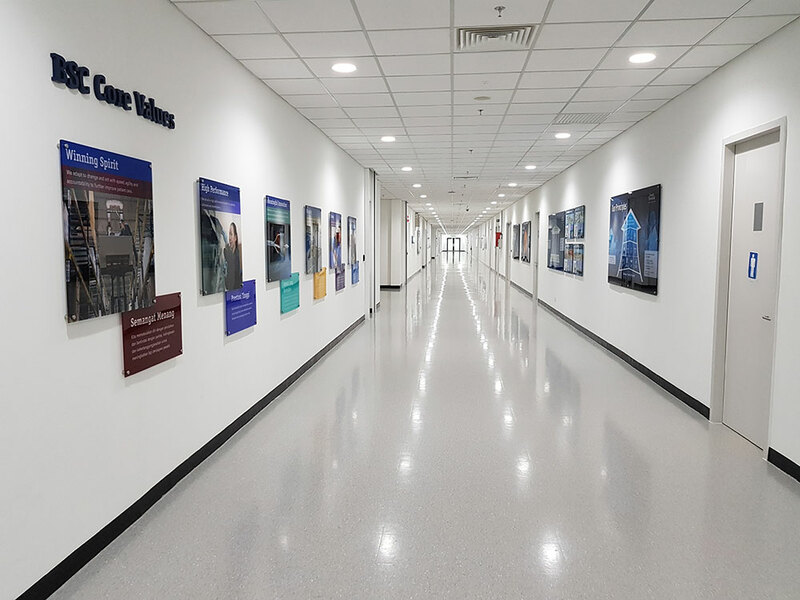 The rebranded design in Marlborough has now established the look and feel for Boston Scientific facilities worldwide.